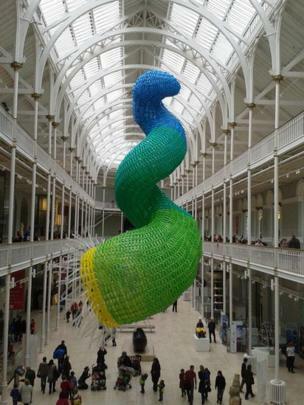 A selection of your photographs of Scotland taken between 5 and 12 April. 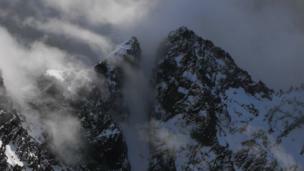 A view of Sgurr Alasdair from the In Pinn or Inaccessible Pinnacle on the Isle of Skye. 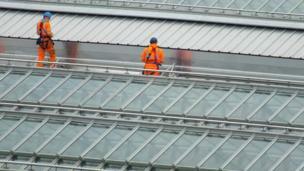 Hugh Simons was there with the Strathclyde University mountaineering club. 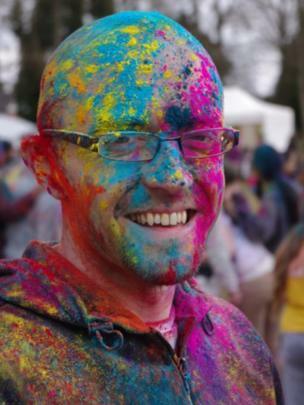 The Hindu spring festival of Holi was celebrated in Rouken Glen Park in East Renfrewshire on Saturday. Michael Fedigan was there to see people throw bright colours over each other symbolising the arrival of spring. 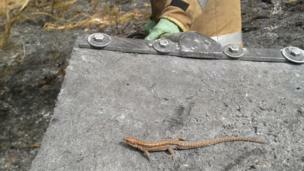 This little chap survived a muir fire in Achmore. Andy MacInnes says he 'has no idea what species' it is. 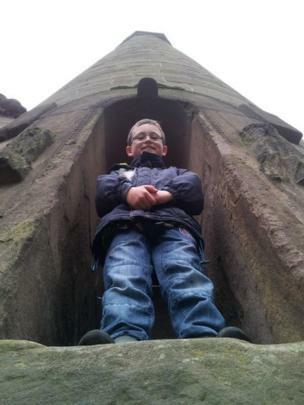 Alex posed for a photo in the round tower beside Brechin Cathedral. Mum Helen Thom, from Tullibody, said it was 'a dreich spring day'. 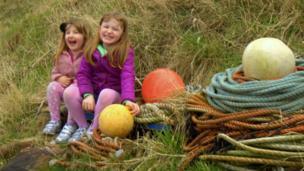 Dad Phil Morrison, from Westhill, Aberdeenshire, took this photo of his daughters and some buoys in Pennan. 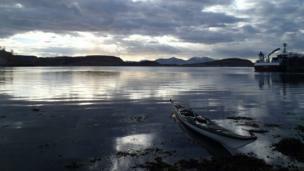 Katy Nelson, from Hopeman in Moray, had used the kayak to paddle out and see the sperm whale in Oban Bay at the weekend. Balloons illustrated the science festival at the National Museum of Scotland in Edinburgh. Sandra Jones was most impressed. Claire Belshaw had a helping hand from son Callum. 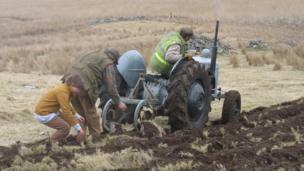 They were 'breaking in new ground for potatoes', at Balchladich in Assynt. 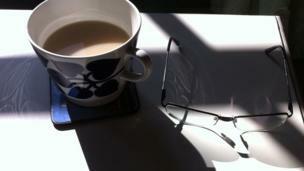 Andrew Wong, from Broxburn, West Lothian, was inspired by this everyday scene at his home. 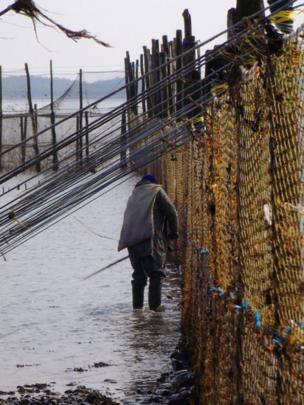 A fisherman hard at work clearing the nets. Ruthie Delaney, from Lockerbie, spotted him in Annan. 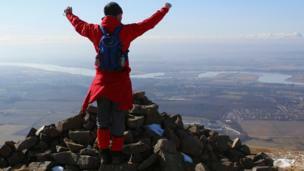 Stevie reached the cairn at Craig Elsie. Paul McGuigan said they spent Saturday walking in the Ochil Hills near Stirling. 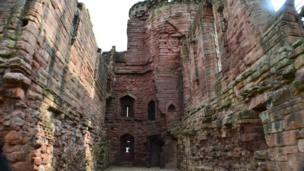 The remains of Bothwell Castle. Susan was there with son Ethan and husband Keith Duncan. 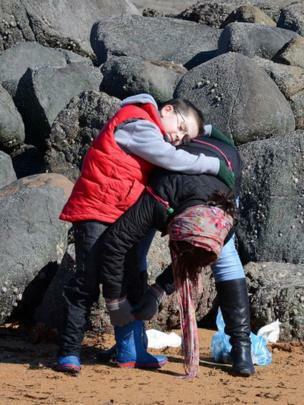 Sam's mum made the necessary adjustments to his wellies after he stepped in a deep rock pool. Dad Alan Redpath, from Port Glasgow, said they were on holiday at Billow Ness Beach in Anstruther. 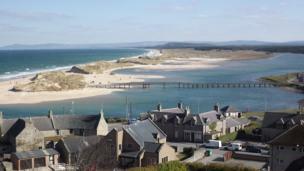 Denise Doherty, from Ballyclare in County Antrim, was on holiday in Lossiemouth.